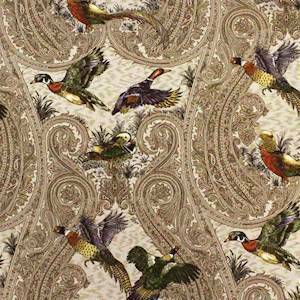 This drapery weight fabric features a hunting theme design with a variety of gamebirds including duck and quail on an ornate floral paisley background. 100% cotton and a nice drapery weight. This fabric is ideal for drapes or roman shades in a home office or den. 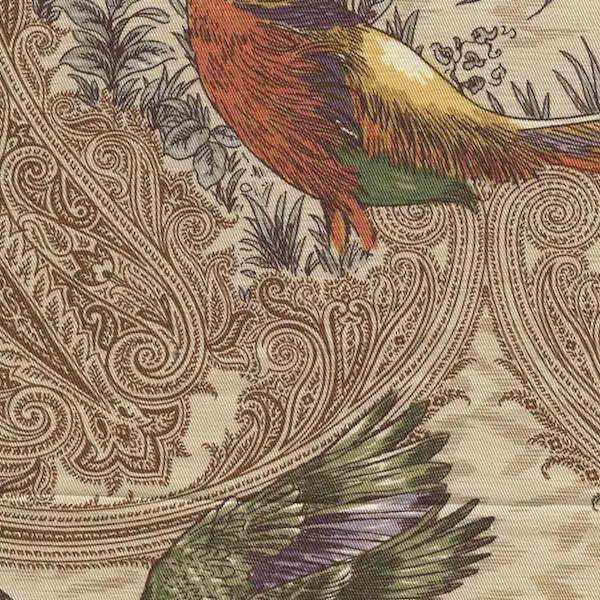 This fabric is also a nice weight for throw pillows and other home decor applicatons.